Uncommon and striking describes this vintage 1950’s 33mm. 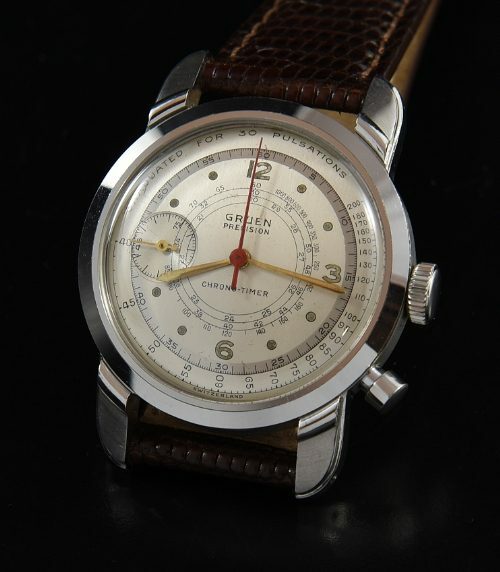 GRUEN Chrono-Timer one button stainles steel chronograph. The caliber 450 manual winding GRUEN movement was just cleaned and is accurate. These watches were designed for doctors, as you can see from the pulsations calibrated (original) and very clean dial. The thick-lugged stainless steel case is gleaming. 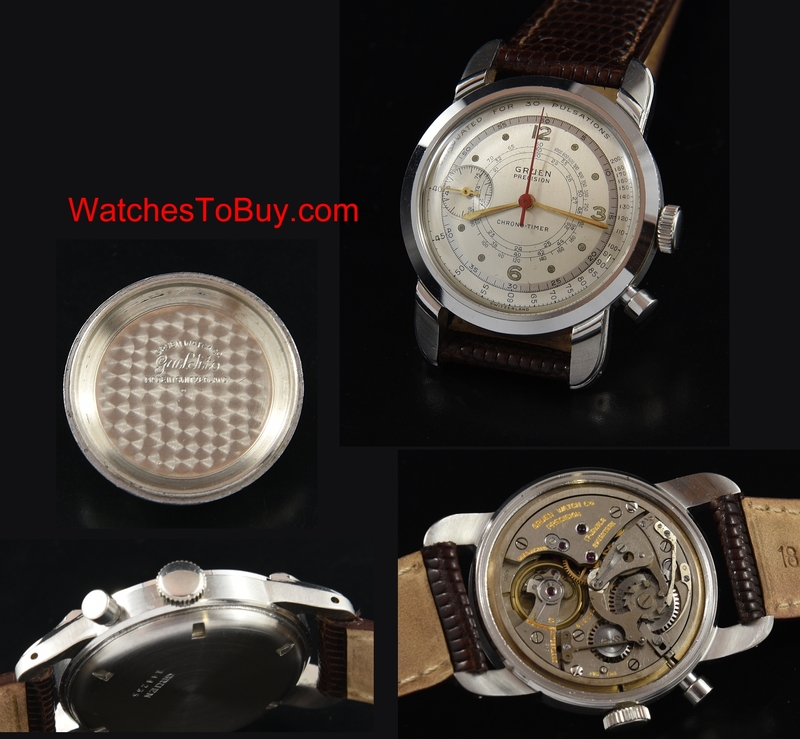 These are hard-to-find and highly coveted vintage chronograph that should continue to escalate in value.